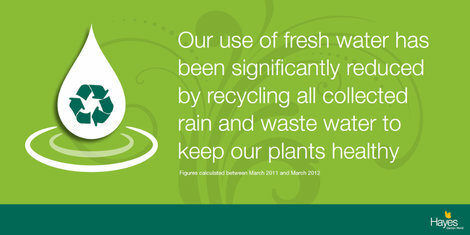 At Hayes Garden World, we have been working hard to improve and negative effects that we have on the environment. We are delighted to share with you some of our results for 2011/2012. 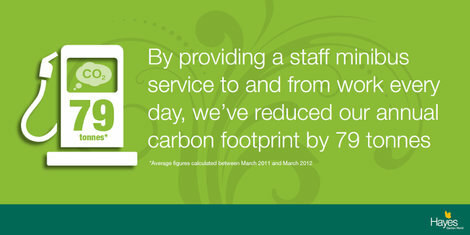 We will continue to work hard to improve these percentages and we are always on the look out for new ways to make our business greener. If the symbol shown below is found on any of your goods, it means that the product is covered by the WEEE regulations. 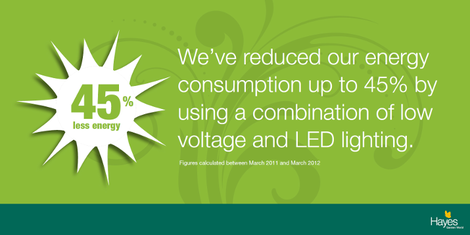 We are pleased to offer our customers the chance to recycle their old electrical items. When you purchase a new electrical or electronic product from us, under our distributor obligations, you have 28 days to return your waste item to us. It has to be like-for-like, so if you buy an electric barbecue you can only return a waste electric barbecue. If the item was purchased online, you are responsible for any postage costs incurred returning the item. When you have finished with a WEEE product, please do not put in your domestic waste bin, as it will not be recycled. Please contact us on 015394 33434 to arrange a convenient time for you to deliver the old item back to us. Alternatively, you can take your old electrical products to your nearest participating Local Authority Civic Amenity (waste) site which you can find by entering your postcode on the search site www.recycle-more.co.uk. 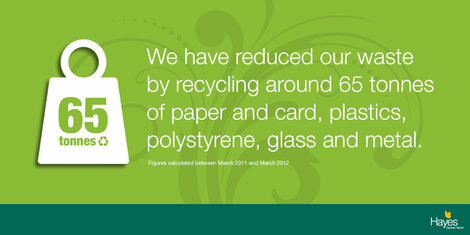 You can recycle all household batteries at Hayes Garden World. These include AAA cells, mobile phone batteries and button cells (used in hearing aids and watches). Any type of household batteries can be accepted at our battery recycling point, typically from 1.5 to 9 volts, including all types of sealed batteries from AAA's through to laptop types. Used batteries can be returned and deposited in our collection bin at Hayes Garden World, Lake Road, Ambleside, Cumbria, LA22 0DW. The Waste Electrical and Electronic Equipment Regulations (2006 No. 3289) (WEEE) is a new UK legislation designed to address the environmental impact of waste electrical and electronic equipment. The regulations have been put in place to ensure that products are recycled using best available treatment, recovery and recycling techniques to ensure human health and high environmental protection. Both Hayes Garden World and our customers can assist in recycling waste electrical and electronic equipment. Hayes Garden World will undertake their responsibility as both a Producer and a Distributor to dispose of these goods in line with European legislation. This directive sets out clear guidelines for the collection, treatment and recycling of waste industrial, automotive and portable batteries. All batteries are required to be labeled with the appropriate battery label. The regulations have been put in place to ensure that products are recycled using best available treatment, recovery and recycling techniques to ensure human health and high environmental protection.